Historian and Good Samaritan Sister Marilyn Kelleher outlines how the Second Vatican Council affected the life of her congregation. 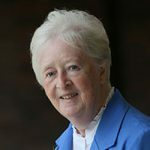 “It is a good time to be alive.” Novices who entered in the early sixties were inspired by these enthusiastic words of Mother Philomena Gallagher about Vatican II. Good Samaritans eagerly followed the events of the Council in Desmond O’Grady’s reports from Rome and studied the Council documents. Lumen Gentium, the Dogmatic Constitution of the Church, affirmed our way of life in the context of the universal call to holiness as a following of Christ under the inspiration of the Spirit within the community of the Church. It is a response to baptism by following the evangelic counsels in a way of life formally approved by the Church. There was an interesting Australian contribution to the Council discussion on the preliminary Schema on Men and Women Religious when Archbishop James Carroll spoke on behalf of 440 bishops. He was concerned that there was insufficient attention to the role of the teaching brothers and sisters in the Church and declared that the apostolic office of the teaching religious in the modern world ought to be esteemed in its own right. The Council decree, Perfectae Caritatis called us to a renewal based on scripture, the original inspiration of our founder and an adaptation to the changing conditions of the times. Reflection on Archbishop John Bede Polding, our Benedictine founder, inspired our spiritual and apostolic renewal. We decided that in order to identify ourselves we would use the spirit of the Rule of Benedict as the basis of our spiritual and ascetical life. The Rule of Polding and his letters to Mother Scholastica Gibbons RSC on the nature of the Institute would be source material. There was also a growing desire within the congregation to join in a spiritual union with other Benedictine congregations and this led to our membership of the Benedictine Union of Australia. Polding’s apostolic mission to the convicts, to the early settlers in remote areas and his concern to provide for the spiritual and material needs of the poor and marginalised reminded us of our foundation story. He provided a refuge for women, where they could be cared for spiritually and given training to help them find employment and hope for a new life. Also, he was responsible for the welfare of orphans and poor, neglected children in a Catholic orphan school. We were founded as an active Benedictine congregation to assist Polding as he responded to the needs of a society disrupted by the social upheaval caused by the gold rushes and this was our inspiration as we accepted new ministries and adapted traditional works to meet the needs of our changing times. The spiritual renewal called for by the Council meant that our way of life, of prayer and work had to be adapted to be in harmony with our physical and psychological condition and the realities of the apostolate. There was a period of experimentation for 12 years during which a Special and a General Chapter reviewed and revised our Constitutions. It was recognised that renewal could not be achieved without the co-operation of all the members and superiors were directed by the Council to consult the members and to listen to them. During 1967, we participated in community discussions, answered questionnaires and prayed for the success of the renewal. Commissions were appointed to study the reports of the questionnaires and prepare new Constitutions. We owe gratitude to the sisters who participated in this process, the members of the Commissions, and the delegates to the Special and General Chapters of 1968 and 1969 for their loyalty to our founding inspiration and for the study and reflection that they devoted to the Council documents. Many had demanding ministries at a time of educational and social change. While our renewal was accepted with enthusiasm and some pain, we began to realise that renewal required a continual call to discern and deepen our spiritual lives that demanded faith and an acceptance of suffering as old certainties gave way to the needs of a variety of new apostolates. We used to say during the sixties “No resurrection without crucifixion”. Nevertheless, we agreed with Philomena’s other saying: “Sisters we live in exciting times”. This article is the second in a series commemorating the fiftieth anniversary of the opening of the Second Vatican Council. Good Samaritan Sister Marilyn Kelleher entered religious life in 1961, the year before the Second Vatican Council opened. For 30 years she served as a teacher and principal in New South Wales schools. Marilyn's deep interest in her congregation's history ultimately led her to complete a doctorate and author two new volumes of "The Annals of the Sisters of the Good Samaritan", 1939 to 1949 and 1950 to 1959. Marilyn is now researching the next period of "The Annals", 1960 to 1969.